The blue and clear vistalite kits are the most common colors. You can check ebay and find out that a blue kit in "fair" to "good" condition can be found for under $1000 without a snare drum. Please realize that a very good to mint condition kit will cost you more than $1000. Right now is a good time to buy on ebay because it is a buyers market and vistalite kits are not selling very much. So you may find a deal if you look closely at the market. 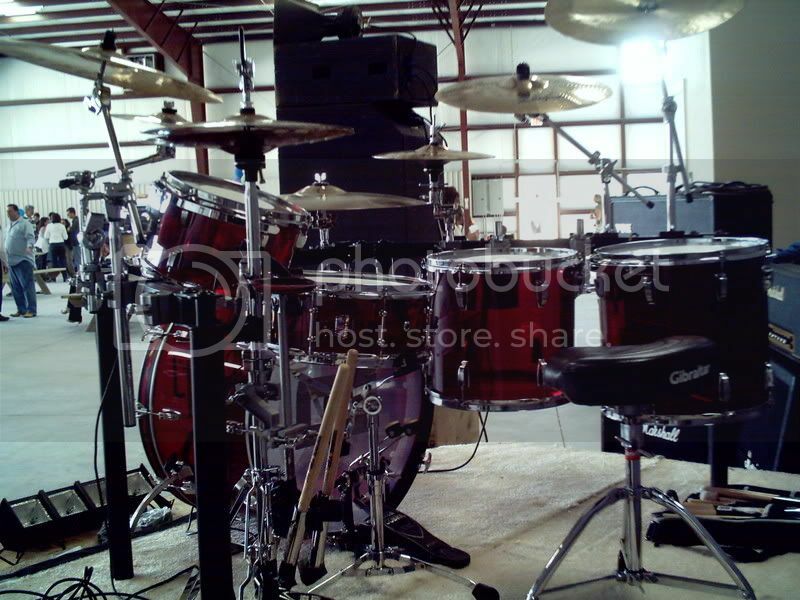 I personally own a Green "Big Beat" Vistalite kit (14x22, 8x12, 9x13, 16x16, & 5x14 snare). The kit is from 1972/73 it is an early version kit. They sound very cool, it really has that 70's sound when tuned up. I don't play them very much because I really love the sound of my 1979 Gretsch kit better. But my fist kit was a blue vistalite and I knew I had to have this kit when I found it in 1997. Over the last year I have listed the kit on ebay a few times but no one wanted the kit for my bottom line asking price of $1899. BTW the green vistalite is the rarest of all solid colors because there were only 52 kits made by Ludwig. Anyhow, being a modest drum collector/player means I know what this kit is worth, so for now I am sitting on it until the market changes or someone make a reasonable offer near my current asking price. Anyhow, I hope you find that magical vistalite kit. Drums-Ddrum diablo punx . currently a 4 piece. I am currently on the lookout for a vistalite kit too. Either in the amber or the blue. Saw some current bands last week and noted how many of them were using clear kits. Join the Beat of the Drum! don't know much about vistalites but i do know that i love acrylic drums. my custom spaun acrylic is on it's way! i'm sure some classic drums sound awesome. haven't played any though. Very cool! 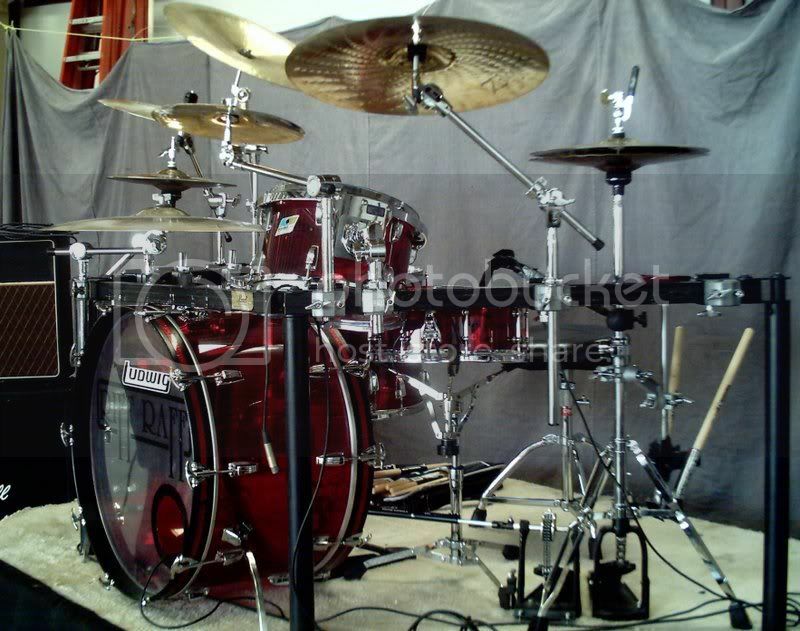 I miss my Big Beat Ludwigs; they weren't Vistalites but the Butcher Block finish. By the way, have you ever thought of starting your own drum company and calling it Earl drums or maybe Earl Jam drums. LOL. Bet you have never heard that before! - hint of sarcasm! Vistalites are beautiful sets. I wish that I had one. I love Vista's. I've got a Blue set from the early seventies, and it's the coolest kit. I originally bought 24" kik with 13"14" Toms and 16"18" Floors. Found a 14x5.5 snare and 12" tom on ebay. Now I just need the other 24" kik and I can take over the WORLD HAHAHAHAHAH Got carried away then! I dont use big kits but I think it would suit the Vista. Real 70's Rock kit. I just purchased a mid 70's red Vistalite off ebay for £500. Couldn't believe how cheap i got it! If anybody out there happens to know of an 18" red Vistalite floor tom for sale please let me know! Thanks for writing. I found your response by accident, I did request to be notified when a reply is posted, but it didn't do that. Anyhow, I never thought about owning a drum company. I did think about openning a drum shop - maybe someday. Even though I'd probably give away the store ... if I owned one. My vistalites still sound great, but one day I will have to sell them to buy more studio equipment. Until then they get used a few times a year on recordings or just to practice. Rarely do I take them on a gig.